The City in the Developing World is a comprehensive and up-to-date introduction to urbanisation in developing countries. The goal of this text is to place an understanding of the developing world city in its wider global context. First, this is done by developing the concept of social surplus product as a key to understanding the character of the contemporary Third World city. Second, throughout this text, the city in developing areas is centrally placed in the context of global, social, economic, political and cultural change. Thus, the important themes of globalisation, modernity and postmodernity are examined both in relation to the structure of sets of towns and cities which make up the national or regional urban system, and in respect of ideas and concepts dealing with the morphology, structure and social patterning of individual urban areas. 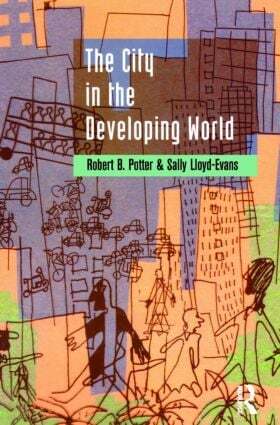 The City in the Developing World is a core text for second and third year undergraduates in the fields of geography, development studies, planning, economics and the social sciences, taking options which deal with development issues, development theory, gender and development and Third World development.